There is a Winter Storm Watch now posted for Mammoth Mountain and the Mammoth Lakes Area. It’s on the way for Halloween Night and into Saturday November 1st. Look for snowfall amounts in the 4-8+ inch range in town, with up to a foot in the upper reaches of town like the Knolls and the Slopes areas. Up at the Ski Area we are now expecting 8-12 inches for Canyon Lodge, 10 – 14+ for the Main Lodge area and 12 – 18+ inches possible for the powder fields of Mammoth Mountain. Confidence is moderate in this forecast as of 1:52 PM. I do not know about you but Snowman is going nuts at the thought of getting a storm in here. As of early Monday AM models are in agreement for the first accumulating snowfall of the season. It’s set up to come in on Halloween Night so I pray we will not be tricked but get a nice treat out of this first system. 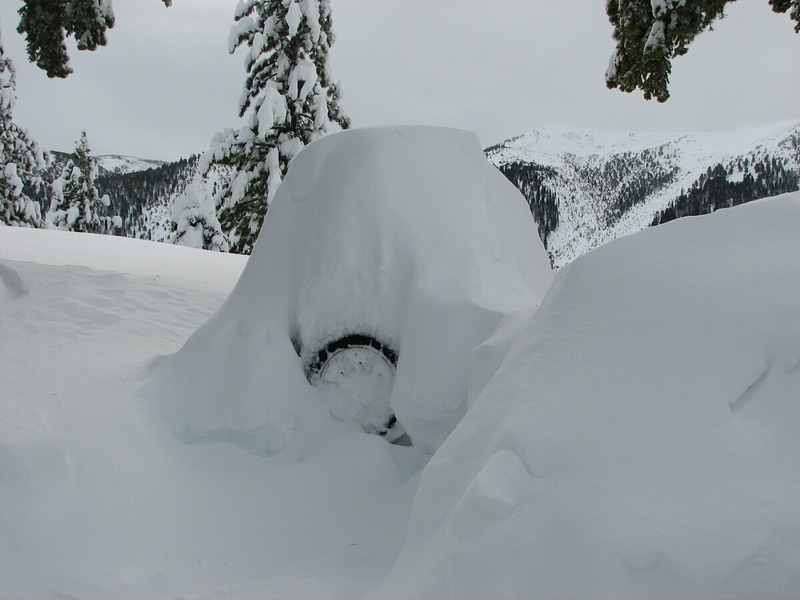 Looking at today’s data the latest Euro has 12-15″ for 9K and 6-12 at Canyon. However, with the last two storms we thought Mammoth would get several inches or at least a dusting and we got nothing. So until it falls I would not get excited. You can also count on the forecasted amounts changing before the event happens. Mammoth Mountain Today – Weather & Snowmaking Outlook – 7AM – The window-cast from out on Mammoth Mountain is showing clear blue skies at this time. 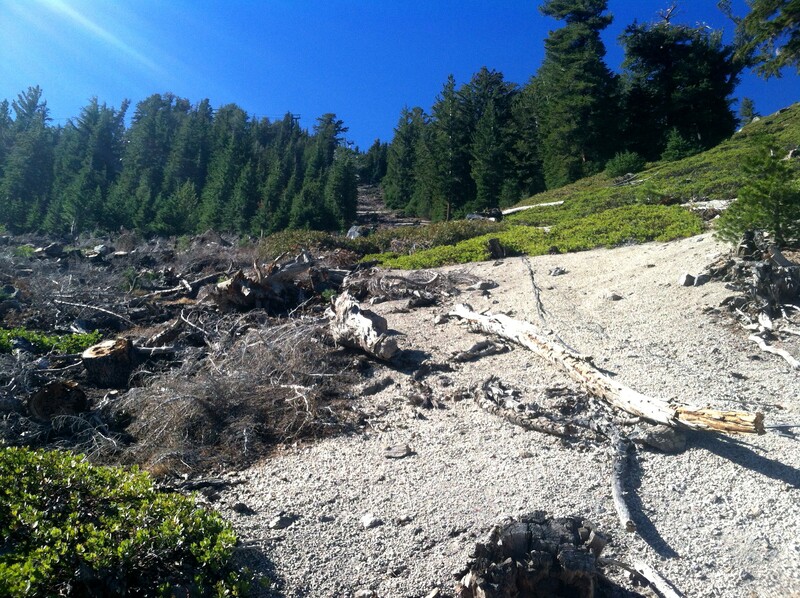 Current Weather Conditions: at the Mammoth Mountain Summit it’s 39 with a 49 at the main lodge. 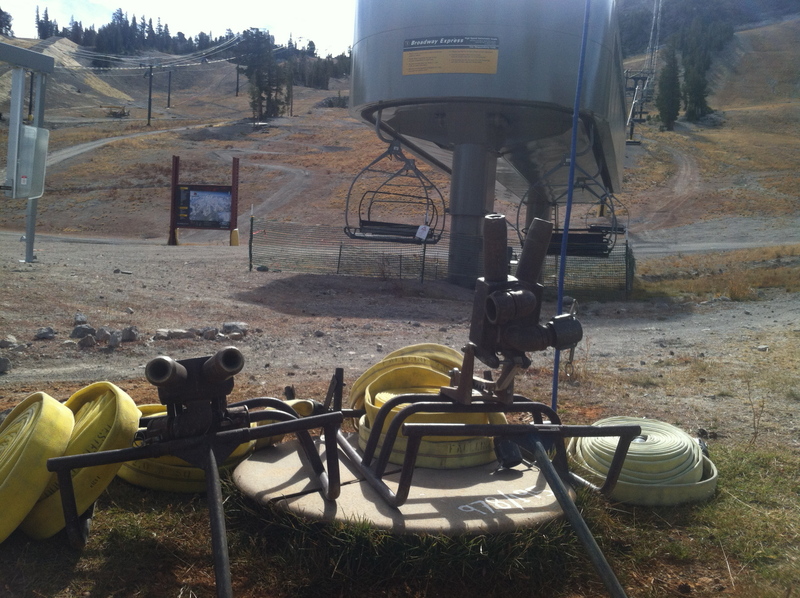 10-20-2014 – 9:27 AM – The window-cast from out on Mammoth Mountain is showing clear blue skies. 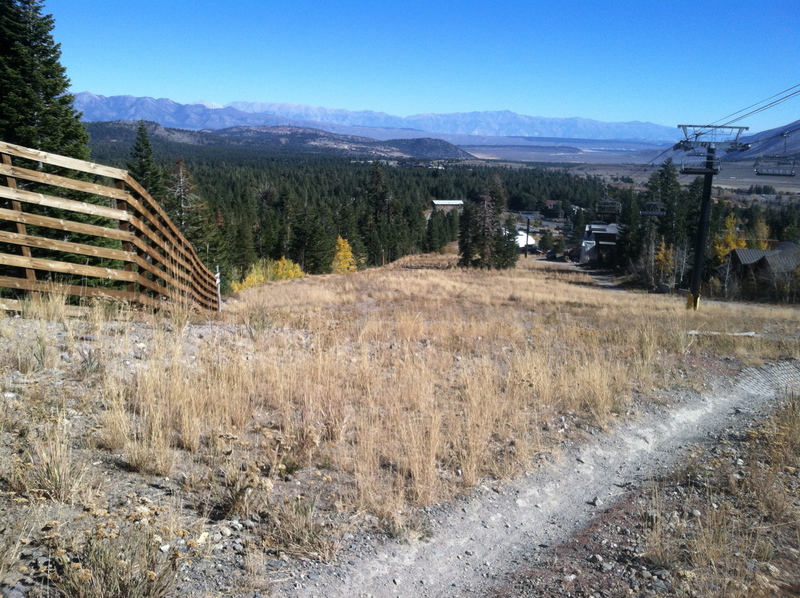 It’s a perfect day for a cross country mountain bike ride.